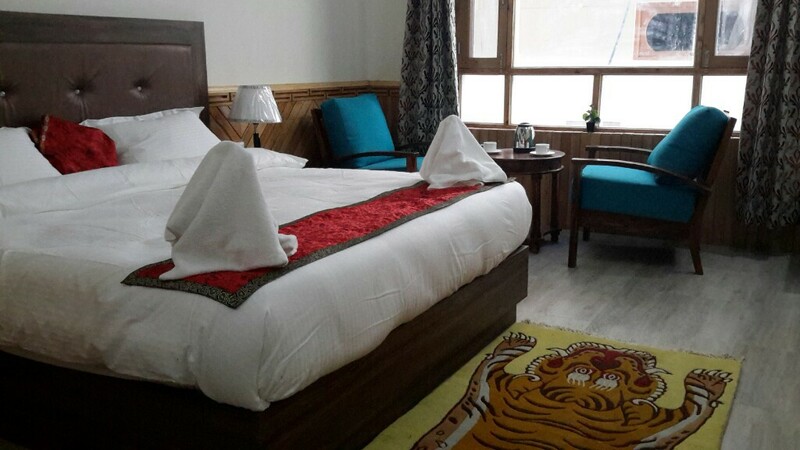 Deluxe good hotel rooms@budget price in Tabo,Spiti Valley| luxury amenities best in Tabo hotels|book Tabo Homestays n Hotel rooms, Spiti tours,treks,sightseeing| Top star comfort Tabo hotel @economy value. 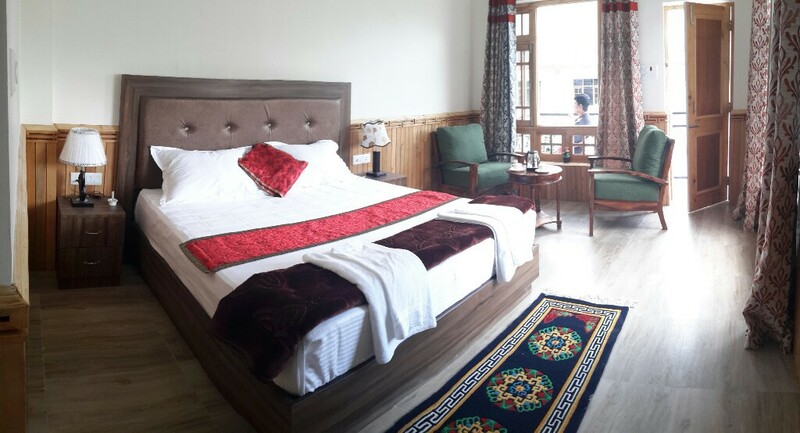 Our newly built Star hotel in Tabo,Spiti Valley boasts 12 large self contained rooms. 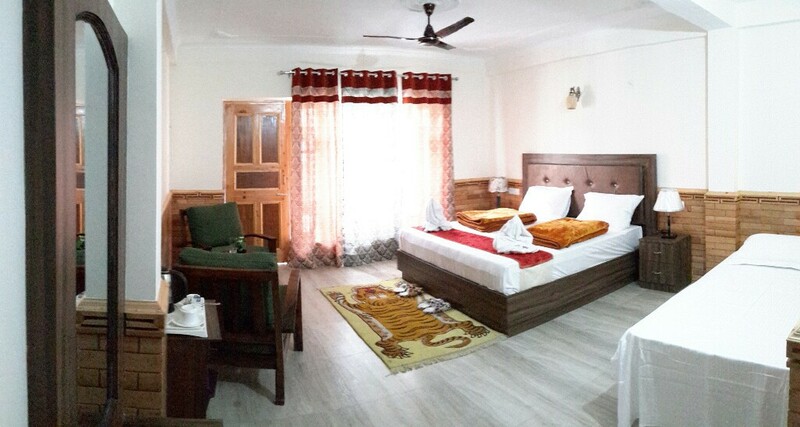 These cozy elegant rooms offer the weary traveler, the comforts of today with an ambience of the provincial and the decor reflecting a fusion of Spitian and Buddhist culture. SUPER DELUXE ROOMS are luxurious and artistically decorated ensuring a pleasant and comfortable stay.They are spacious,some as much as 280 sq.ft., with large modern bathrooms and designer ethnic balconies with wonderful view of the Apple orchards, skyscrapper barren mountains and dark blue day skies that glow with zillion shining stars in the night. 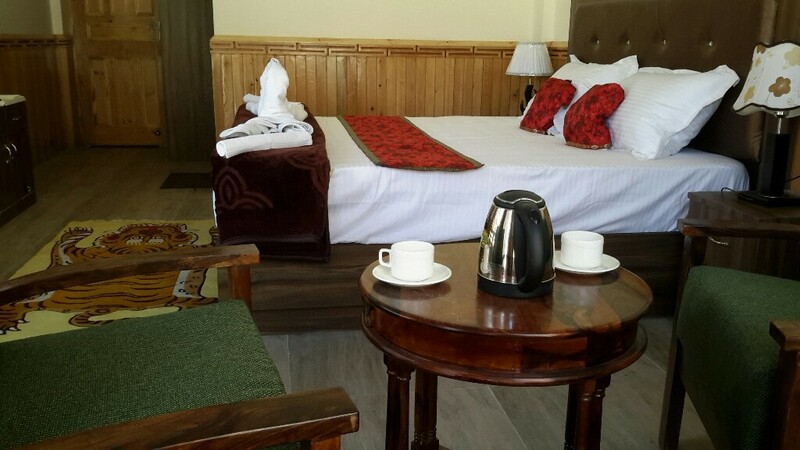 DELUXE ROOMS are also as large and furnished thoughtfully and tastefully. Though devoid of balconies, rooms are designed for ample natural light and air. Good modern large bathrooms with Solar as well as electric geysers,will make any weary traveler refreshed and reinvigorated. EP: ROOM, CP: ROOM +BREAKFAST, MAP: ROOM+BREAKFAST+DINNER, AP: ROOM + B/F+LUNCH+DINNER. 50 % of total amount to be advanced for confirmation of booking. Children accompanying parents, below 5 years free on same bed n above 5 years to 12 years 30% extra of meal plan with additional roll on bed. For ADULTS 40% of meal plan extra, with additional roll on bed. Refund on cancellations received before seven days of check in,is full minus 10 % advanced. There is no refund on any cancellations received within seven days of check in time or No Show. Stayed at the new Maitreya Hotel for a night with friends. It is a new property opened this Year. So the rooms are superb and new. Very clean, very comfortable. Food is good and ……..